Jennifer Kalas is a litigator who focuses her practice in the areas of auto, premises liability, wrongful death litigation, ERISA litigation, employment litigation and general tort defense, including wrongful death and asbestos litigation. She also defends clients in consumer and class action matters. Ms. Kalas has an active ERISA litigation practice in Indiana, Illinois, Missouri, Arkansas, Nebraska and Iowa. In her employment litigation practice she handles matters with local agencies and the Indiana EEOC, as well as matters in federal court. She has tried cases to verdict in Indiana and Illinois state courts, as well as federal courts. 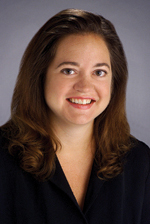 Prior to joining Hinshaw & Culbertson LLP in October 2002, she was an attorney with Ruman Clements & Holub. Author of "Indiana's Peer Review Privilege Statute and Its Effect on a Claim of Negligent Credentialing: Analysis and Proposed Statutory Reform," 27 Valparaiso University Law Review 111 (1993).